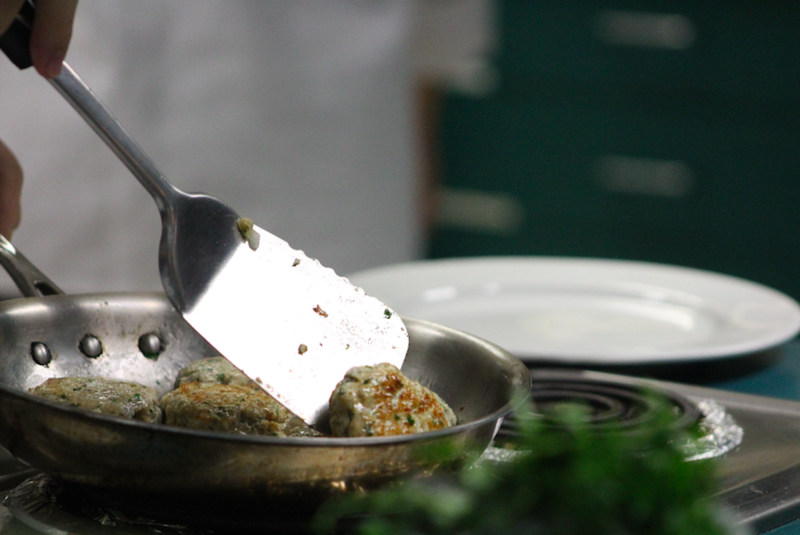 Tryouts for the 2016 ProStart cooking team were stirring, steaming and sizzling on November 1. All five Liberty chefs made the cut, as judged by professional chefs from local Kansas City restaurants. After writing a short essay about why they’d like to be a part of the team, the Liberty chefs cooked a dish for a panel of judges who decided which chefs were cut-out for the competitive team. The tryout process was intense and put each contestant’s skill-set to the test. The chefs were given 15 minutes at the beginning of the timed tryout to prep everything, the only rule was they couldn’t turn any cooking equipment on during the allotted time. 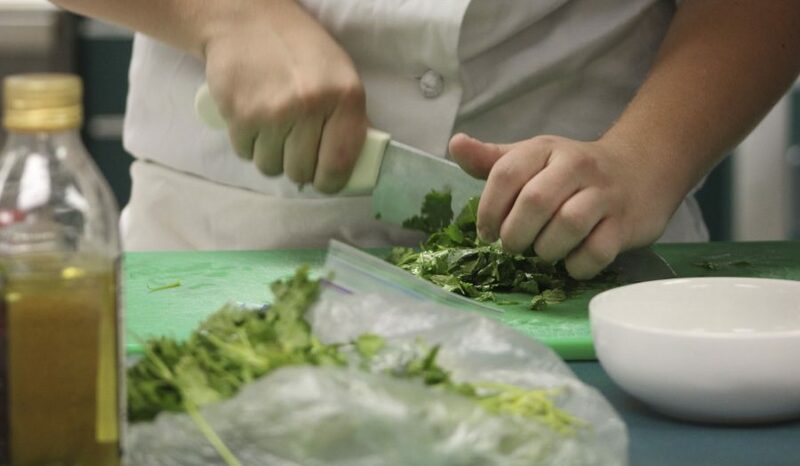 After 15 minutes of cutting, chopping, and organizing, the contestants got 45 minutes to prepare two identical dishes for the judges to view and taste. Contestants were judged on food appearance, safety, organization, technique, and taste. Dishes ranged from pork chops with a potato and cranberry glaze to garam masala chicken sliders. In the end, all five of the LHS chefs made the team. Next, they will begin meeting every week to practice their menus until they compete in the state competition in February. Team members are: Senior Sammy Borchardt, sophomore Brantley Downey, juniors Santana Garcia, Caleb Lautenschlager, and Alexa Slocum.